Successful application of liquid Naltrexone implants, as well as apparent potential of Naltrexone implant, have motivated scientists to find more advanced formula of Naltrexone drug. This new research has led to the emergence of liquid forms VIVITREX and VIVITROL, with polymeric microgranules base, and then the next generation - Naltrexone palmitate oil solution as intramuscular injection. A new generation of long-acting liquid Naltrexone emerged under the names Naltrexone palmitate and Naltrexone in oil. Their application is very simple (as opposed to VIVITROL and does not require specially trained personnel, or special injections. Any doctor or nurse can calmly and without haste give an intramuscular injection of blockerswith a regular 3ml syringe. Allergic reactions to such solutions are extremely rare, almost nonexistent. Also, the risk of complications is negligible. Oil solutions of Naltrexone blocker look as transparent sterile liquid of golden color and are packed in dark glass bottles of 3ml, 15ml and 30ml. Sealed bottles are stored at room temperature. Before use, shake the syringe. Oil Naltrexone (Naltrexone injection) effects last 1 month as with Vivitrol, but its price is much lower. Length of opiate receptor blockade with one dose of liquid Naltrexone is only 1 month. 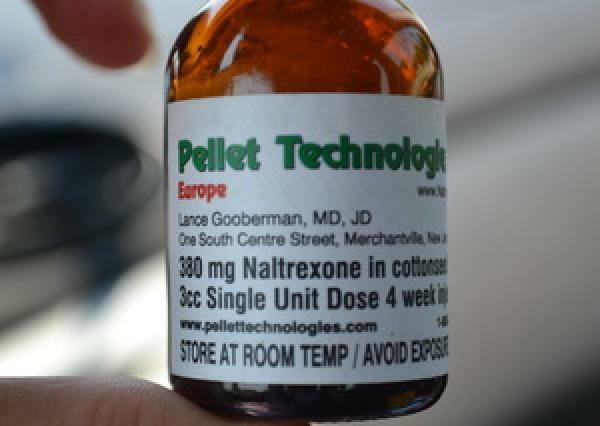 Naltrexone implants are made in USA, US Patent No. 6,203,813. For more than 10 years, U.S. company Alkermes Inc. had worked on the liquid form of Naltrexone (Naltrexone injections) for long term protection against relapse. After extensive scientific research, Alkermes Inc. presented VIVITREX to the world. The production of VIVITROL ® has begun after the FDA approval of this drug. These new formulations of Naltrexone are spread around the body through polymeric microspheres 75:25 polylactide-co-glycolide (PLG). Specially trained doctors prepare the medical solution and immediately give the intramuscular injection to a patient. 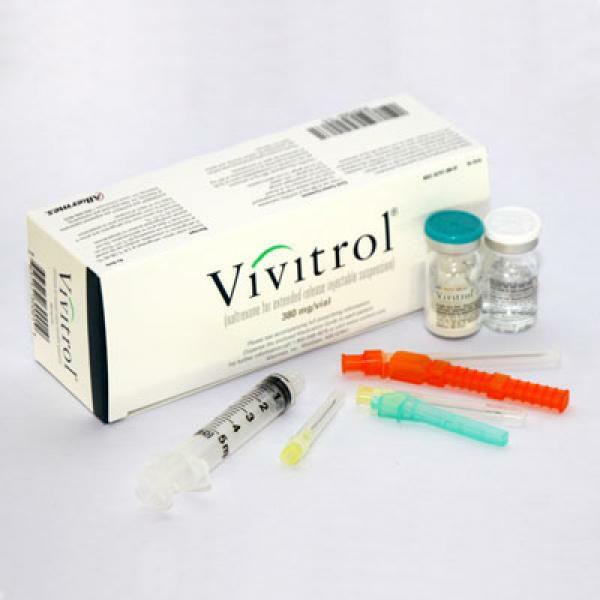 For this purpose, they use a special needle and other components of VIVITROL set. Each dose contains 380 mg of pure Naltrexone. The length of effective blockade of opioid receptors is 28-32 days.